Pirate Ship Combo Bounce House! Arrrrr Matey!!! 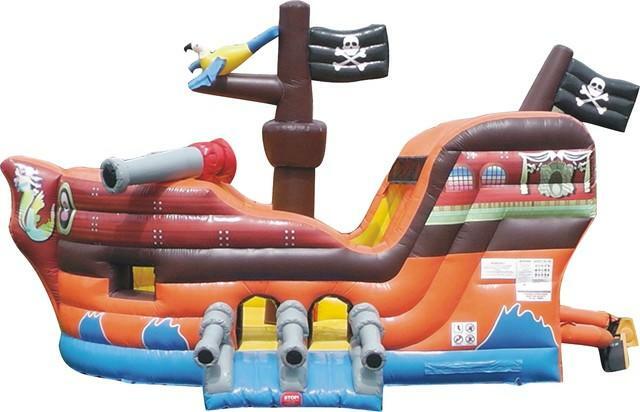 Celebrating a pirate theme party?, this is the perfect addition for your event. The Kids would love to bounce and slide in the awesome four in one inflatable combo, which includes a bouncing area and a climbing wall with a slide, and a basketball hoop. the size of this inflatable is 25ft long by 15ft wide, by 14ft tall. Beutiful and colorful combo bounce house. 4 in 1 combo; basketball hoop, jump, climb, and slide.